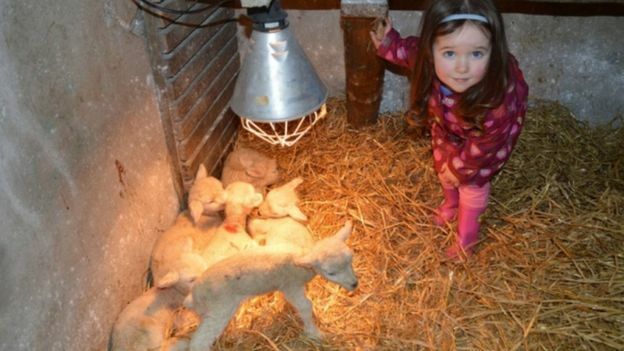 A sheep at a family-run farm in County Tyrone has surprised its owners by giving birth to rare sextuplets. 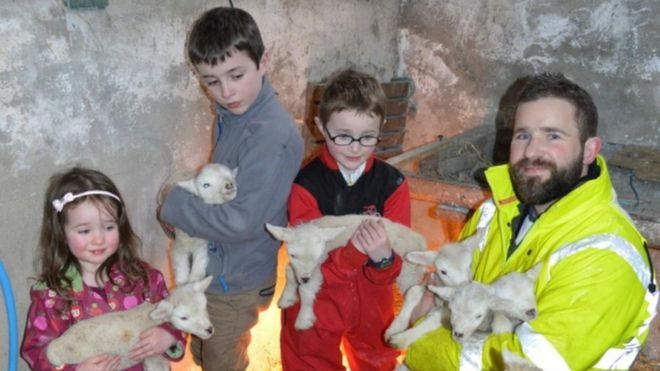 In fortuitous timing, the six healthy lambs were born at the Donemana farm at 06:00 GMT on Good Friday 27 March. Owner Witherow Shannon said it was the first time he had ever seen six lambs born to the same ewe. The President of the British sheep veterinary association, Tim Bebbington, said it was very unusual. In his 26 years as a sheep vet, Mr Bebbington told the BBC that the most lambs he has ever seen from one ewe, is five.